This is a black and white photograph. There is a desk in the foreground, with a terminal and a telephone. 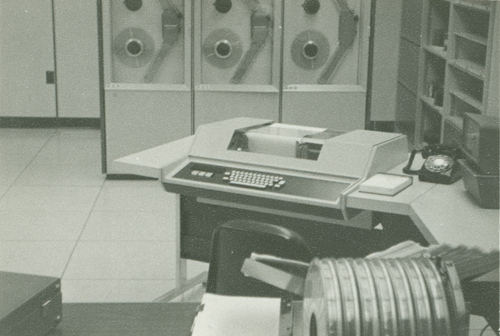 The walls are covered with other parts of the Univac 9400. There is a collection of tapes in the foreground of the picture.